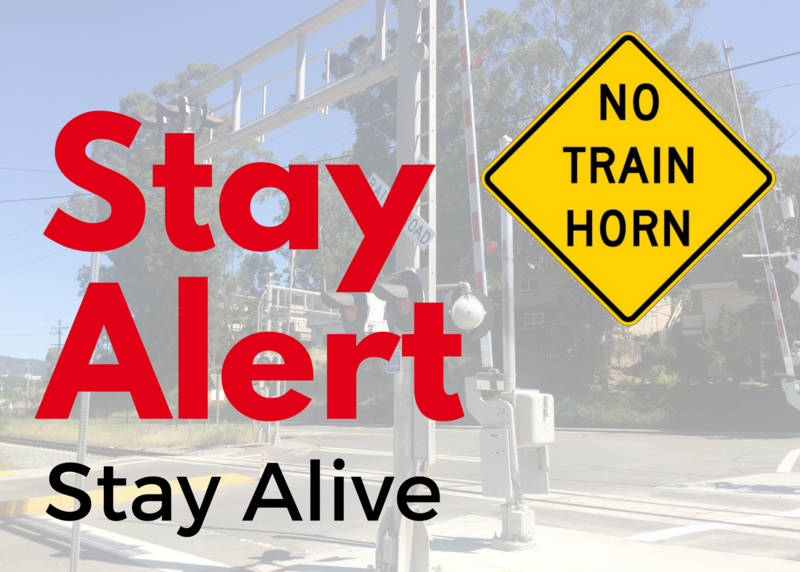 Starting Friday, May 12, please be aware that the train horn will not sound at railroad crossings in San Rafael and Novato, unless there is an emergency or when leaving a station. We urge you to be alert and aware at all crossings. Drivers should never stop on the tracks. Never walk on the tracks, walking on the tracks is dangerous, and illegal. Please share these railroad safety tips. More info at NoTrainHornMarin.com.